In 2019, Adventures by Disney will be offering vacations to Japan. We have a sneak peek at some what can be expected on a trip, if you choose to join! You’ll have the opportunity to explore some of the country’s historical shrines and temples, like in Kyoto, filled with Buddhist temples, gardens, Shinto shrines, and wooden houses. You’ll visit Pure Water Temple and Fushimi Inari Shrine, before you head to Tokyo to see the Sensoji Temple and Meiji Shrine. You’re going to do more than tour temples, though. 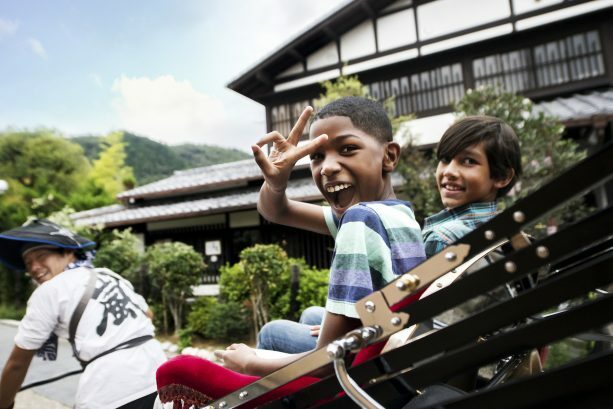 You’ll get the chance to explore the culture of Japanese life through biking throughout rural Japan, take a riverboat ride through the heart of Tokyo and hike through Kyoto’s bamboo forest. You’ll also get to take part in experiencing samurai sword fighting and the unique maiko’s dance performance. 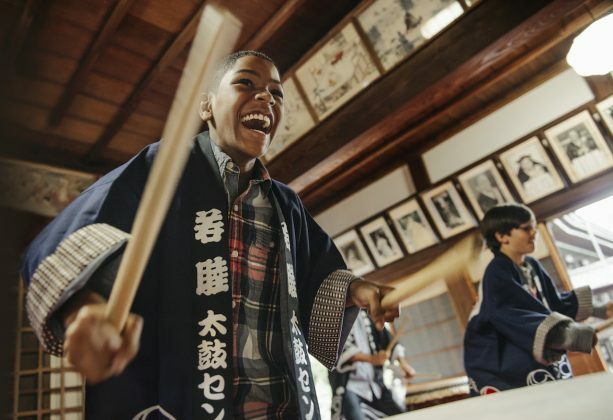 You’ll be taught origami, calligraphy, and Taiko drumming by local performers and artists. This 11-day, 10-night itinerary will be available to book beginning May 9th on Adventures by Disney.